The information in this article is presented in an educational light and cannot be used to diagnose anyone with any type of mental health disorder. The only individuals qualified to diagnose mental health disorders are licensed mental health clinicians who have specific training in assessment and in the diagnosis of these conditions. The process of assessment is concerned with gathering information that can be used to determine if an individual has some type of mental health disorder. It is the first step in the process of diagnosing and treating mental health disorders, such as substance use disorders. 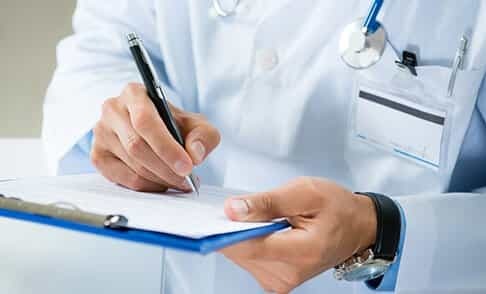 Diagnosis is the identification of a specific illness or disorder based on the symptoms, signs, and other information that is gleaned in the assessment process. Developing a framework for determining potential causal factors that contribute to the symptoms and complaints. The diagnostic categories for mental health disorders are not as discrete as they are for many physical illnesses. This leads to the potential for substantial variability and for fuzzy issues in understanding particular manifestations of symptoms. A diagnosis of a mental health disorder can lead to stigmatization and potential bias aimed at the individual. Disagreements in the diagnosis of certain individuals are not uncommon. This can lead to a lot of infighting and uncertainty in clinical circles. Sometimes, even professional mental health workers misuse the diagnosis such that they develop expectations based on the diagnostic label alone as opposed to actually interacting with the individual and determining the specifics of the person’s complaints and presentation. Of course, the diagnosis can be incorrect, which would negate many of the above advantages of having a diagnosis. Nonetheless, the benefits of using a diagnostic system most often outweigh any potential negative effects. The majority of individuals who receive a diagnosis from a competent mental health professional trained in assessment will benefit from the diagnostic process, and this will lead to a more efficient treatment plan and greater potential for a positive outcome. The assessment phase of the diagnostic and treatment process attempts to ascertain the particular issues of concern in the client and to develop a diagnosis that can guide the treatment plan for the individual. In the case of a substance use disorder, the treatment plan is based on empirically validated treatment protocols for substance use disorders and results from the assessment process and diagnosis that allow for clinicians to tailor the overall treatment program to meet the specific needs of the individual. Thus, the assessment and diagnosis aid in both the general conceptualization of the individual’s situation and aid in the specific fine-tuning of the treatment approach in order to ensure that the treatment will have the greatest probability of success. The next step after the overall assessment process is to develop a treatment program and then implement it.